Does a vegan teen activist scholarship exist? Yes! 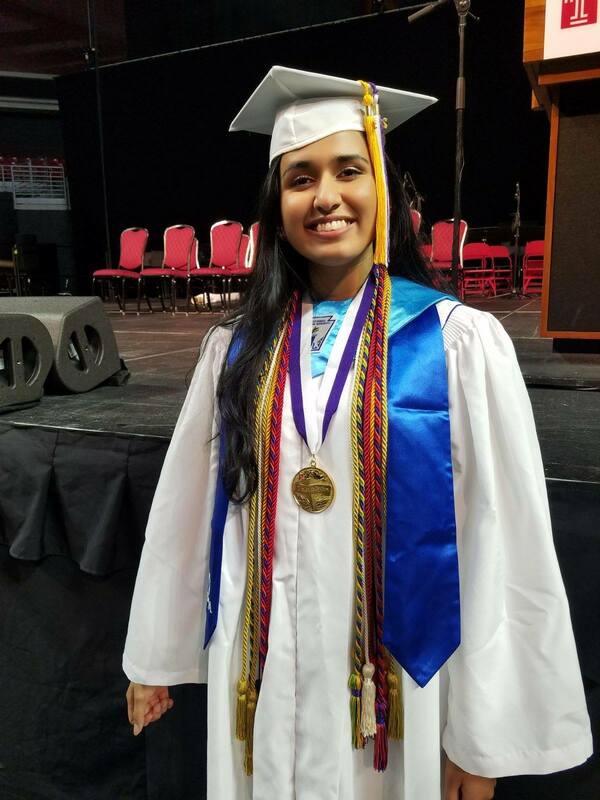 Just ask Aaditi Tamhankar, age 18, who is the sole recipient of the Vegetarian Resource Group’s $10,000 scholarship for high school seniors this year. 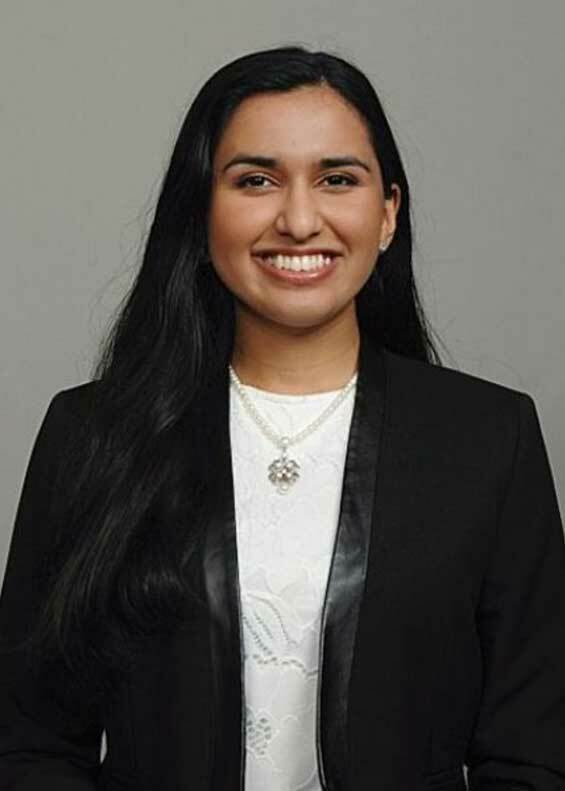 Aaditi will use her award towards attending the prestigious Wharton School of Business at the University of Pennsylvania! But Aaditi didn’t even know about scholarship opportunities when she started her vegan activism. Here’s my interview with this very inspiring vegan teen! I became a vegetarian at age 8, after I realized the meat at the store meant an animal dying. I’ve been vegan since age 16. What made you switch to veganism? At first, I was eating a vegan diet for my health. Documentaries like Forks Over Knives inspired me, as did websites like the Physician’s Committee for Responsible Medicine and Michael Greger, MD’s www.nutritionfacts.org. When then did you start practicing a vegan lifestyle? The shift from eating a vegan diet to being a vegan happened as I watched documentaries like Earthlings and Cowspiracy, which inspired me to expand my circle of compassion. You’ve been a vocal advocate at school, starting both a Vegan Club and a Health and Wellness Club that promoted a vegan diet. Did anyone give you a hard time for that? I’ve been around a fairly supportive crowd for most of my life, but sometimes I did feel targeted. However, I knew my friends wouldn’t judge me, and the people who do judge aren’t worth worrying about. I think a lot of us know that people who mock or tease us about being vegans aren’t really worth our time, but it still hurts. How did you deal with that? Don’t let other people control your emotions. If someone makes you mad, it’s really like you’re letting yourself get mad. Have confidence, and build your confidence by becoming very knowledgeable about veganism. Have commitment to making the world a better place. Take a risk; it’s the only way to make a difference! Tell us about your Health and Wellness Club. 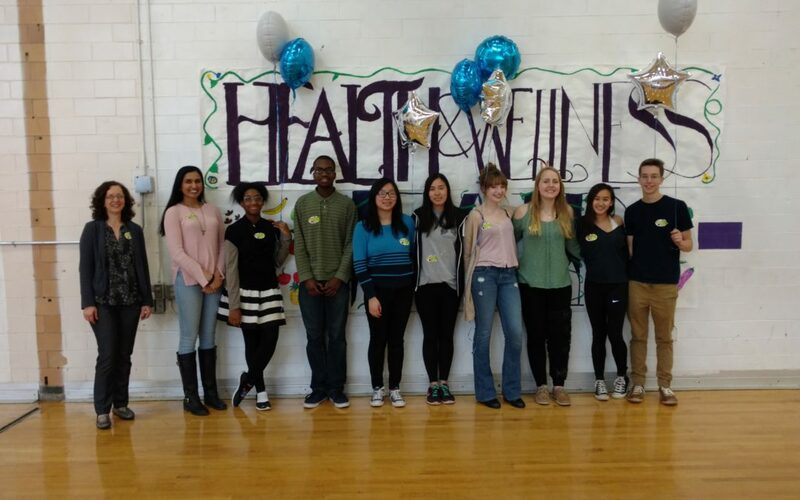 In my junior year, I started the Health and Wellness Club (12 members) with the goal of organizing my school’s first Health and Wellness Fair. I really didn’t know what shape the fair would take, but we ended up having 25 exhibitors, such as Whole Foods, and about 1,000 students in attendance. 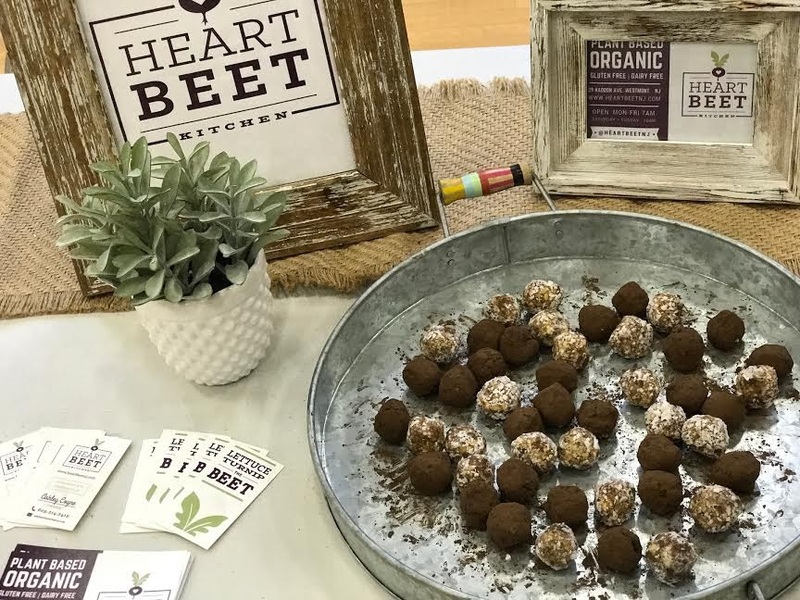 The Health and Wellness Fair showed other students that a healthy vegan lifestyle plays an integral role in disease prevention, and that it’s also affordable. About 25% of the students at myschool participate in the free or reduced lunch program, so I wanted to demonstrate a vegan diet’s affordability, as well as its desirability. 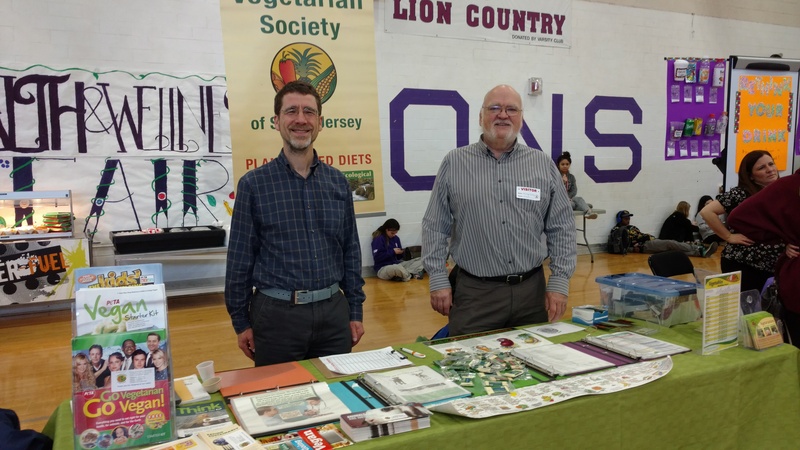 During our club’s second year, thanks to Steve Fenster at the Vegetarian Society of South Jersey (VSSJ), our Health and Wellness Club showed the film Cowspiracy to over 600 students. Cowspiracy is a documentary about the impact of animal agriculture on the environment. Afterwards, students ate vegan foods from local restaurants, grocery stores and vendors, and groups such as the American Vegan Society and the VSSJ interacted with students. 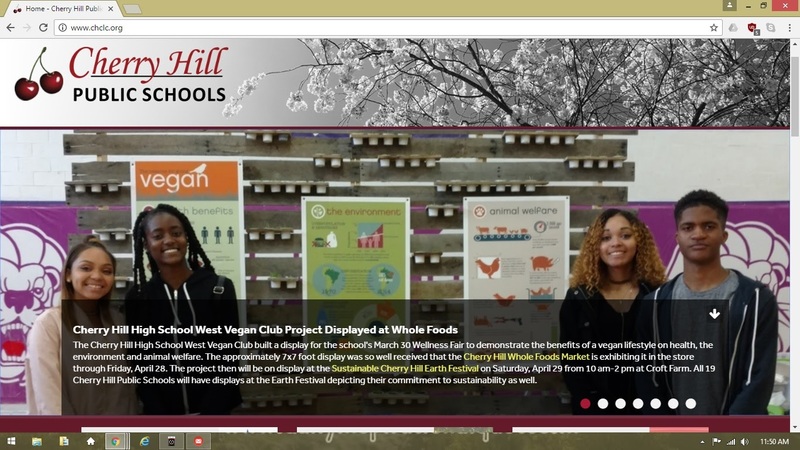 We communicated the vegan message through both education and delicious food. 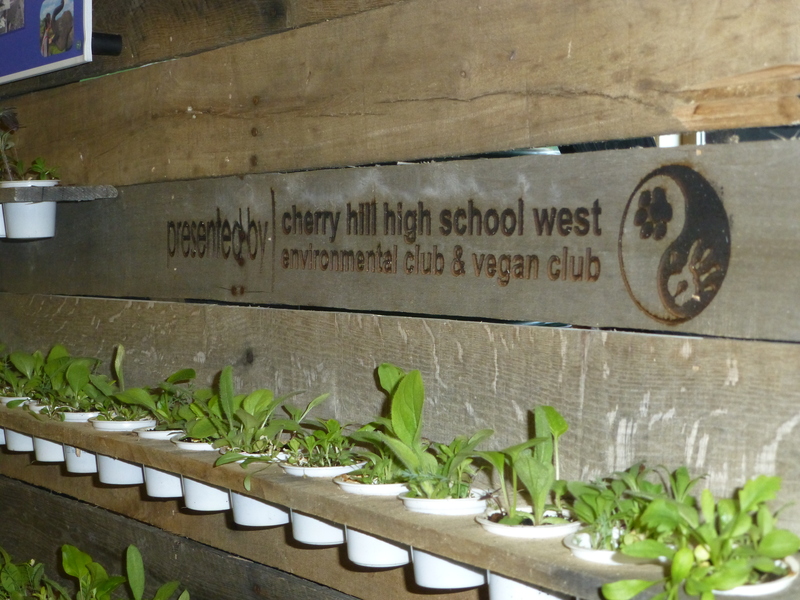 What impact did showing Cowspiracy to 600 students and having an event with vegan food and information afterwards make? We were very successful. Over 75% of respondents who completed a Google Forms survey expressed some desire to be a vegetarian or vegan. A full 80% of students said they tried a new food that day. How did you get your school to support you with these efforts? I had a good relationship with my principal, and I enlisted biology and health teachers to help plan the Health and Wellness Fair. I had a lot of roadblocks, but I eventually earned the support of my school’s administration. Tell us about your Vegan Club. Our Vegan Club had 8 members. It provided a supportive community for us vegans while we also participated in community education and outreach efforts. We established booths at the local Earth Day festival and 8th grade education night. In addition, we put up posters and distributed flyers around school. Would you recommend that other vegan teens follow in your footsteps? Sure, if they’d like to, but different people are drawn to different kinds of advocacy. What other high school activities did you participate in? I served as editor-in-chief of my school newspaper, participated in track, played volleyball, and did mock-trial. I also served as my class valedictorian and vice-president of the largest club at my school, a business club called DECA. Wow! How did you manage so many activities and accomplishments? Being a healthy vegan boosted my energy and mood, and kept my mind clear. I even wrote a report about the correlation between good mood and the kind of gut bacteria that develop from a healthful diet. How do you approach relationships with meat eaters? I think it’s important as vegans to be open to having good relationships with meat-eaters. We can have a positive impact by sharing with them the many advantages of veganism and opening their eyes about the realities behind their lifestyle choices. I speak English, Marathi, Hindi and Spanish and would like to work in developing countries. Eventually, I would like to start social entrepreneurship public health projects on a global scale. That’s why I’ve just started an undergraduate degree at the University of Pennsylvania Wharton School of Business, concentrating in healthcare management. Has your activism led to any other scholarships? Thanks largely to my role in the Health and Wellness Club, I received a total of over $21,000 in scholarship assistance from five sources. The $10,000 from the Vegetarian Resource Group is the largest one. If vegan teens have interest in applying for the Vegetarian Resource Group’s scholarship, what should they do? Do the kind of vegan advocacy that you find yourself drawn to, because there’s many ways to contribute. The deadline for the next Vegetarian Resource Group Scholarship Contest is February 20, 2018.